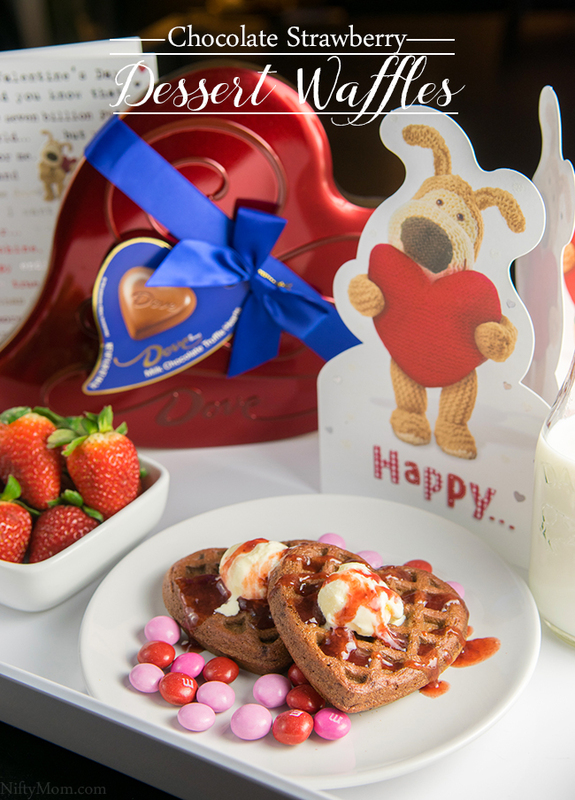 Coming up with Valentine’s Day gifts (or any gift for that matter) can be difficult when it comes to some people. After years together, it can easily seem like you already gave the same gifts. 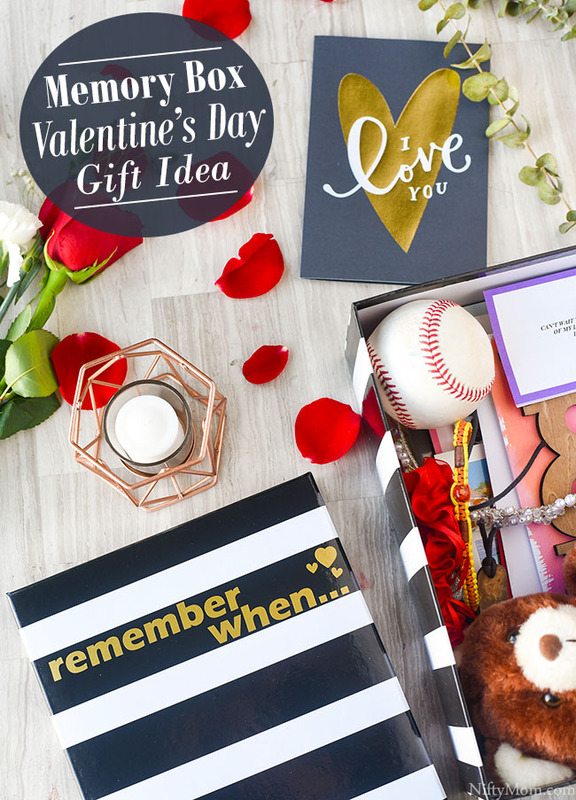 Thoughtful gifts such as a memory box, are easy to put together and can fill a day with laughter and smiles as you go down memory lane with your loved one. With three little ones, I have learned that making food and meals into fun shapes is always a win. It’s not always easy though. It can become time-consuming and difficult at times. I don’t have time to try to make everything into different and fun shapes, especially when I have three kids that are always (in their words) ‘so hungry’. No matter what holiday is around the corner, the kids enjoy making things they can give to their dad and grandparents. I always try to give them crafts and activities they can do mostly on their own and take pride in their gifts and creations. 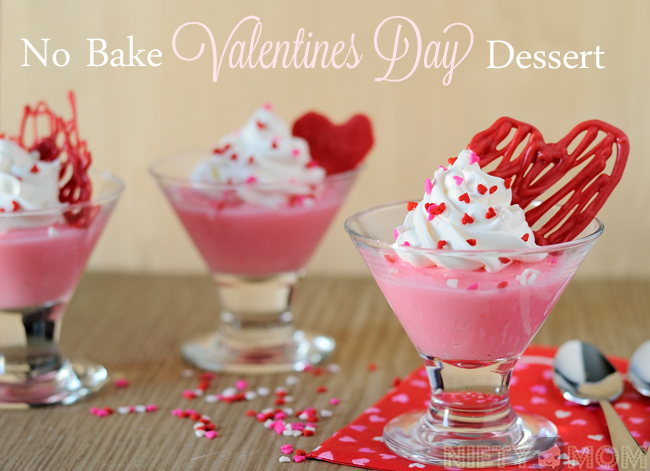 I love making desserts and Valentine’s Day is a great excuse to make a dessert with pink colors. I have three boys, so most treats I make or even buy are blue, green, etc. 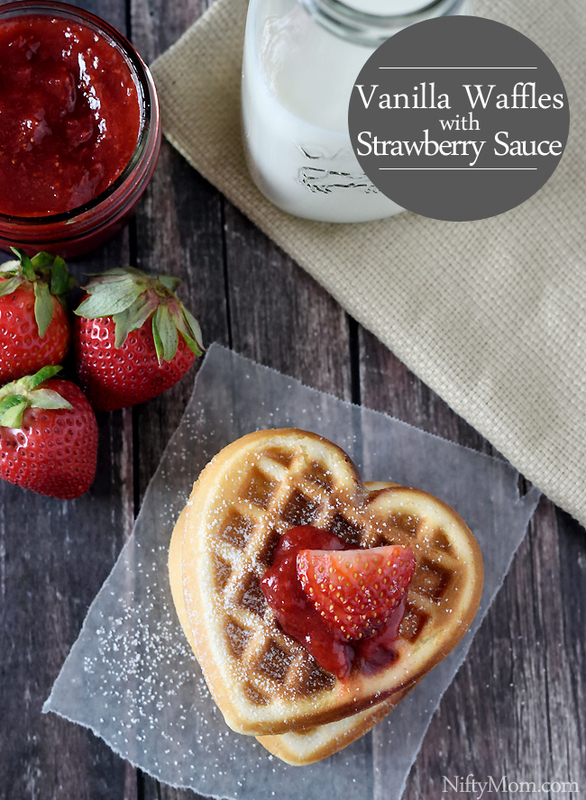 But for Valentine’s Day I am sticking to the colors of love and created a kid-friendly, no-bake dessert. It’s hard to believe Valentine’s Day is next week. I may be a slightly emotional person and it doesn’t take much to make me tear up. 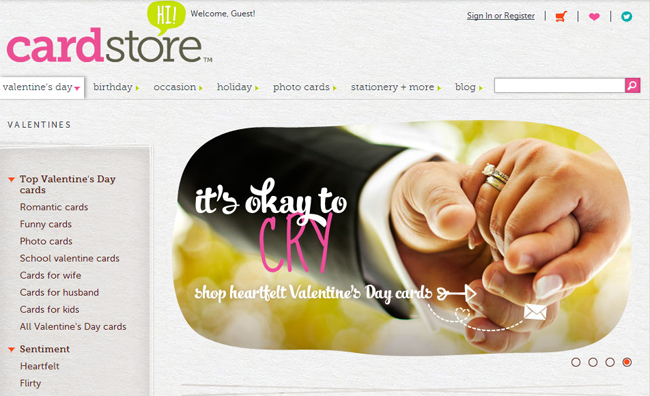 Cardstore is reminding us that ‘It’s Okay to Cry’ and embrace these emotions and sentiments. 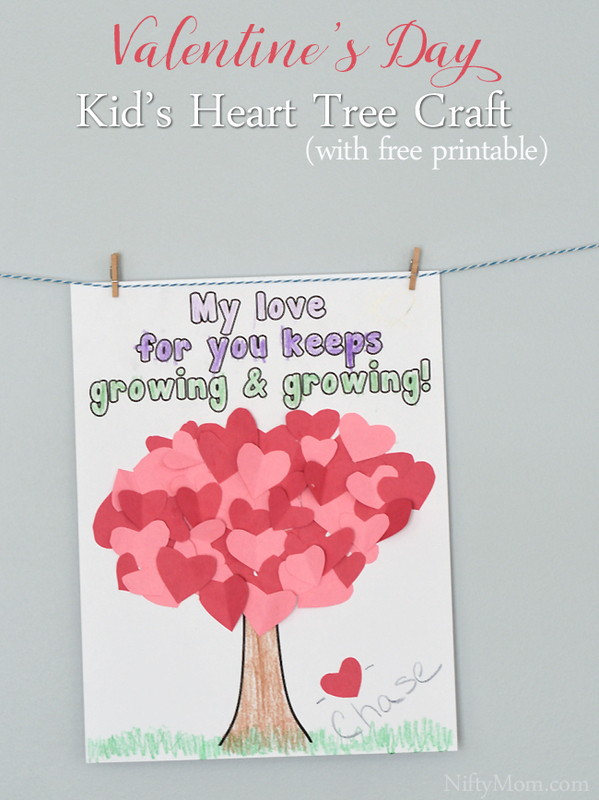 Heartfelt greeting cards are an easy way to express feelings and maybe even say something that is hard to vocalize. You have probably noticed with all my recent Valentine’s Day Gift Ideas and posts, I love making things personal. I like to find unique ways to showcase pictures, keepsakes, etc and share them with loved ones. 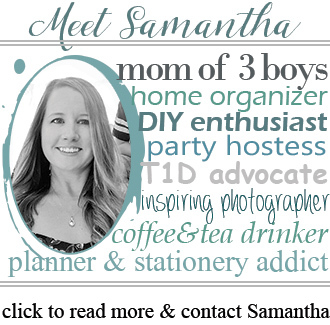 This past week, I have been playing around on a new (to me) website called Animoto. I am seriously hooked. Within minutes, you can create a personal video with your own photos, videos, music and text. The best part, you can make unlimited 30 second videos for free! It is a great last minute gift that will be sure to please that special someone. With Valentine’s Day tomorrow, consider making a Video Love Letter.